New to Market. Priced to sell!!! 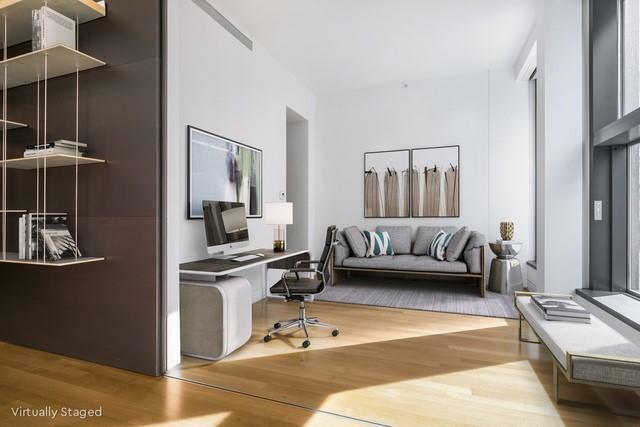 Welcome to SoHo's most prestigious Condo building 40 Mercer Street, designed by Pritzker Prize winning architect Jean Nouvel and developed by famed hotelier Andre Balasz. 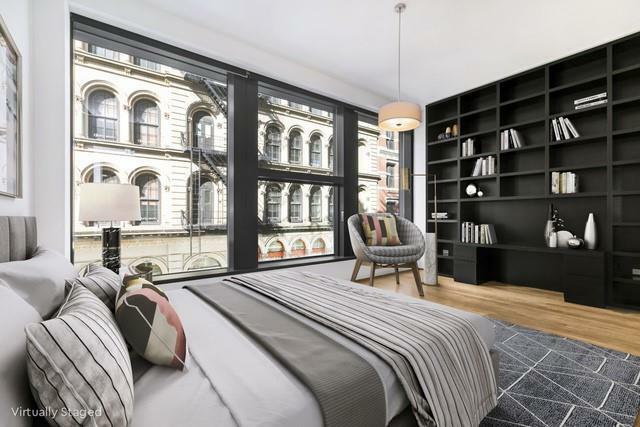 This is an opportunity to live in the heart of SoHo, one of the most vibrant neighborhoods in New York City! Residence 5 is a gorgeous South Eastern corner 3 bed/3.5 bath home with soaring 12-foot ceilings. This home at 2,370sqft is punctuated by oversized, noise reducing, floor to ceiling windows. The generous and efficient floorplan welcomes you with a formal entrance gallery and a long hallway of custom closets. The open Chefs' kitchen is designed by Bultaup. This beautiful kitchen features an island, Mahogany cabinetry, Gaggenau Stove, microwave, Miele dishwasher, Subzero refrigerator, wine frig, garbage disposal and 2 separate sinks. The bright, sun flooded South Eastern corner living/dining room flows seamlessly from the open kitchen. A spacious Master bedroom has large walk-in closets and a luxurious en-suite bath beautifully appointed with Thassos marble, double sinks, separate shower and soaking bathtub. The second and third bedrooms each offer an en-suite bathroom and custom closets. Note the third bedroom allows flexibility of use offering the option to open seamlessly to the living room with a smooth sliding wall. Abundance of custom closets throughout, laundry room with washer/dryer, & central air and heat. This home is also a fantastic investment and 1031 Exchange opportunity. 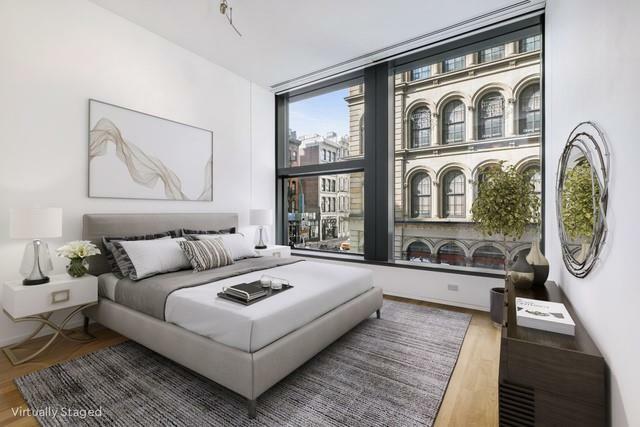 40 Mercer Street amenities include: 24-hour doorman, concierge, full-time Super, underground parking with direct building access and State-of-the-art gymnasium with Pilates reformer/chair, heated lap pool, Jacuzzi, sauna, steam room, showers, lockers and spa room. Outdoor access includes a tranquil landscaped common courtyard and a breathtaking planted rooftop terrace. Building is pet friendly. 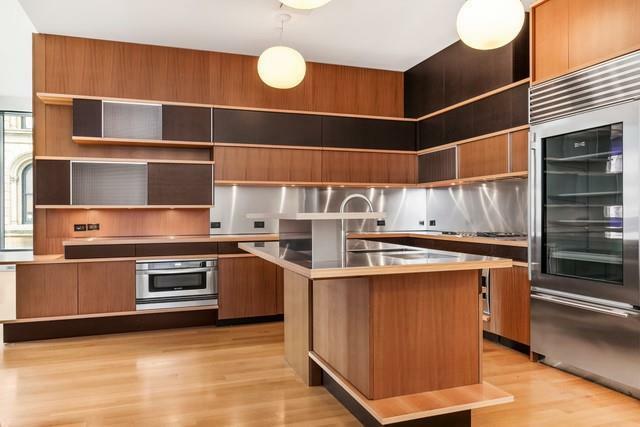 With its discrete entrance on Mercer Street, this is the trophy home you have been looking for. Transportation nearby: N, Q, R, W, 1, 6, A, & C trains. Listing courtesy of Victoria Ye of Compass.